If you are an existing tenant of Flexspace and refer a friend who ends up renting a qualifying Office, Workshop or Warehouse, then we would love to give you a ‘thank you’ for this. Simply fill out this form to apply and we will be in touch. We will record your interest and if your introduction signs up, then we will reward you. To qualify for a reward the referral must come from an existing Flexspace client. Customers are only eligible to claim their reward once the referred client has signed a contract, paid full deposit and been a Flexspace client for a minimum of 30 days. 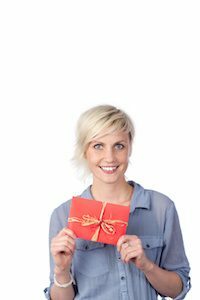 Receive £250 worth of shopping vouchers for a qualifying Office or Workshop referral, for the referrer only. If a customer gives notice on their product or terminates their contract prior to the 30 day period the offer is not applicable. Referrals cannot be for a sister company or a colleague working for the same company. To qualify for rewards, the referral must result in the receipt, by Flexspace, of signed Terms and Conditions in the form of our UK agreements for the respective product, as well as cleared funds for the service retainer. In the event of multiple clients referring the same contact/company, only the first referral Flexspace receive will be eligible for the reward. The referral will only be accepted if the enquiry has not previously been entered into any Flexspace system. The reward is as stated, and is not redeemable for cash. Flexspace reserves the right to provide alternative rewards or a broadly equivalent value. Flexspace cannot provide any details or contracts signed on account of confidentiality obligations to all new clients. Employees of Flexspace and their immediate families are not eligible to take part in the Flexspace Rewards Program. Flexspace reserves the right to amend or withdraw this offer at any time. Neither the program nor any benefit offered by the Program creates, constitutes or gives rise to any legal or contractual rights by members against Flexspace. The promotion is a non-tax paid program. Individuals and participating resellers are responsible for declaring any prizes to their local tax authority if required and paying any tax liability arising from receipt of any prizes. Under Data Protection legislation, we are required to draw your attention to the fact that by participating in the Flexspace Rewards Program and in order to make it possible for Flexspace to perform its obligations under the Program, you accept and explicitly authorise that Flexspace, its subsidiaries and appointed third party agents, need to know and hold your personal information which is supplied by you during the course of the Program. We need this information in order to process and fulfil your orders, to let you know the status of your order, to address any queries regarding your order, and tailor the rewards program based on your order data. We may also disclose your information to our appointed third party agents in order to process your order, for example, to courier companies who deliver goods to you on our behalf. These third parties will only have access to your information in order for them to perform specific tasks related to your order and they may not use it for any other purposes.